Coll. No. 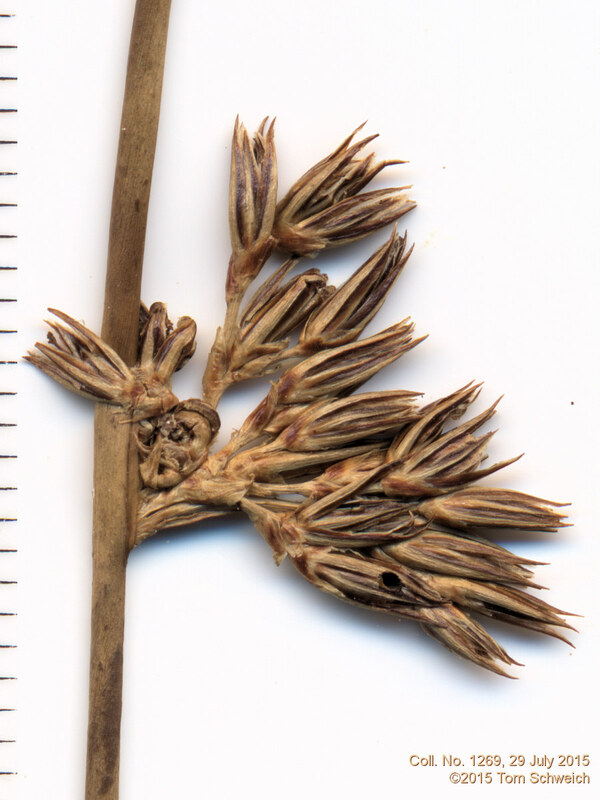 1269, 29 Jul 2015, characters observed: Perennial, to 1 m.; Leaves, basal sheaths only; Inflorescence, appears lateral; Bract, appearing to be extension of stem, 14-18 cm., >stem; Flowers, many per stem, (obs. 20); Stamens, 5. Field Notes: Coll. No. 1269, 29 Jul 2015. Other photos about Species or Juncaceae Juncus arcticus balticus.